As part of the Grade One unit on "Helping Each Other as Friends and as Learners,"the students were inspired to share their learning with others. As a class they came up with the idea of doing a "Kindness Project." 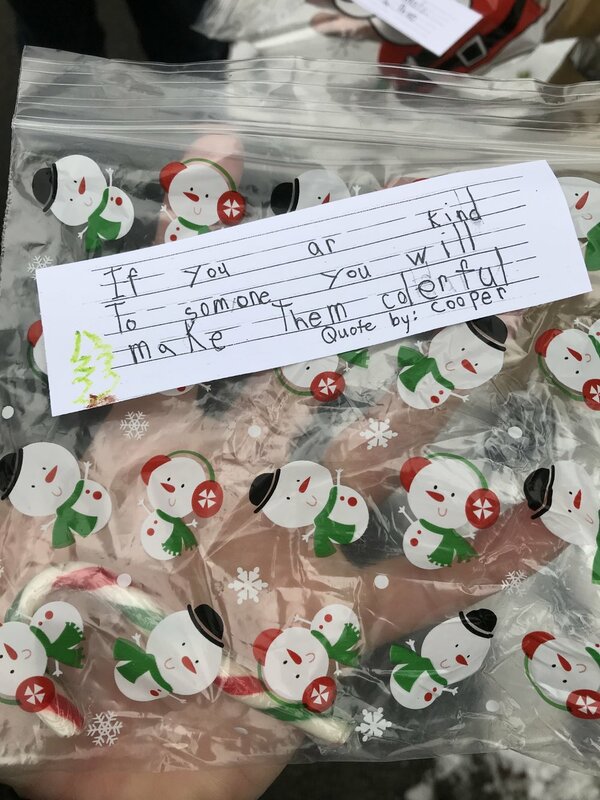 For this "Kindness Project," they thought it would be good to share a little kindness with our local community. 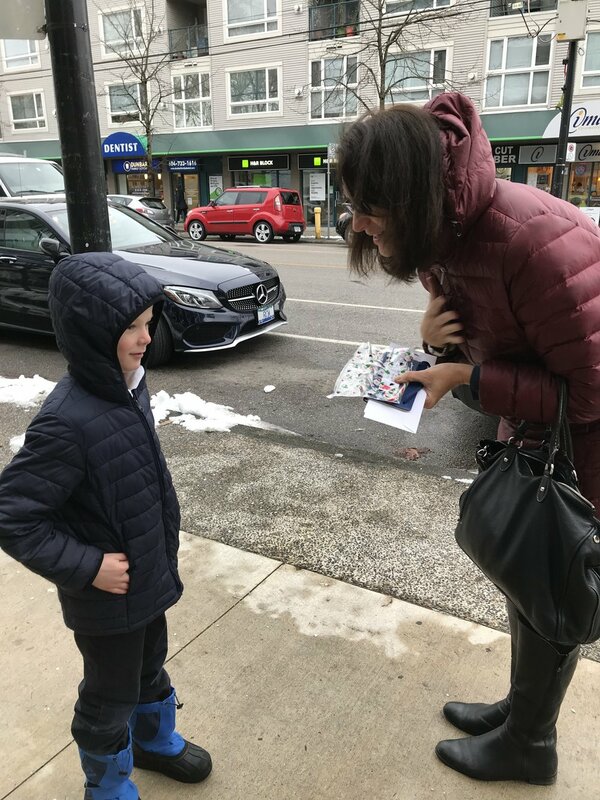 Thus, on Thursday, December 21st, the students were divided into small groups and stationed at different places on Dunbar Street. 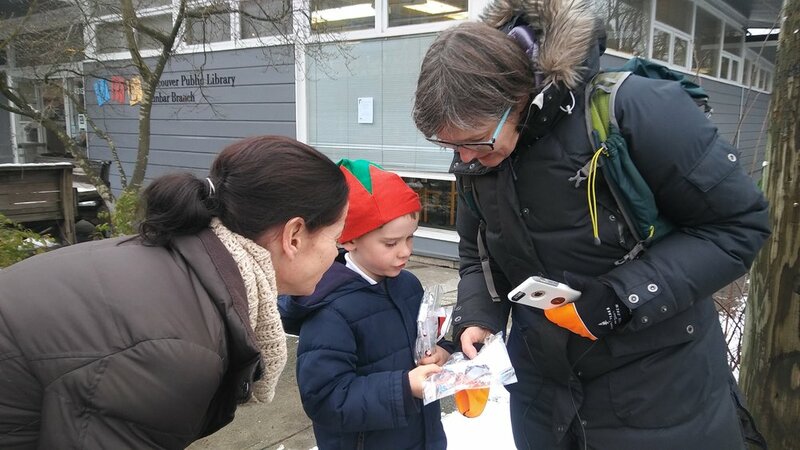 They handed out candy canes to pedestrians and shared a special "kindness" message written by each one of them. 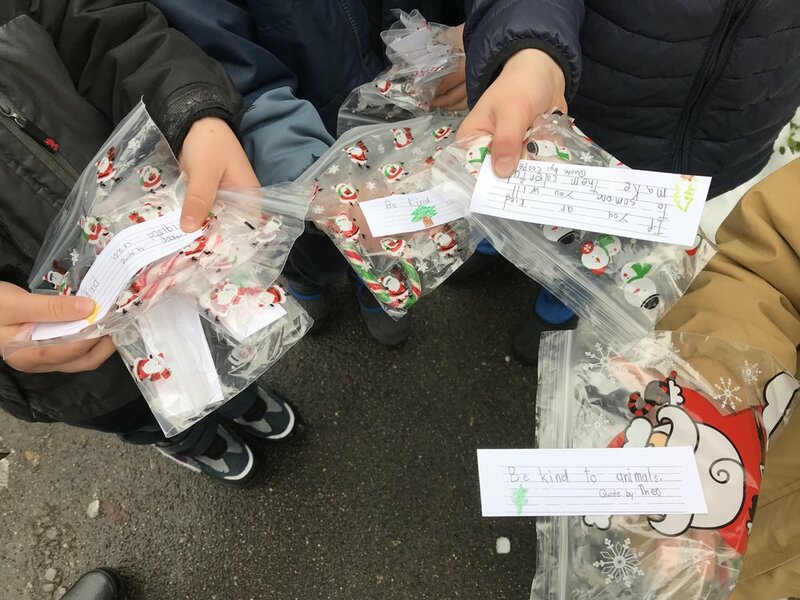 The purpose of this “Kindness Project” was twofold: to teach people that we value kindness in our world and to spread some Christmas cheer. The students shared this small act of kindness with over 200 people on that day. Examples of some the statements given by the pedestrians were: "We need a lot more of this in our world," "My heart grew so big today," "Each kindness message is important and beautiful." The students were happy and excited to be a part of something so special. One of the students stated that "my heart has grown 1000 times bigger today!" This feeling of happiness was shared by all that participated. Remember that when you share kindness with someone you "make them colourful". The Grade One students sure made a lot of people colourful on that day and now you can go and do the same!